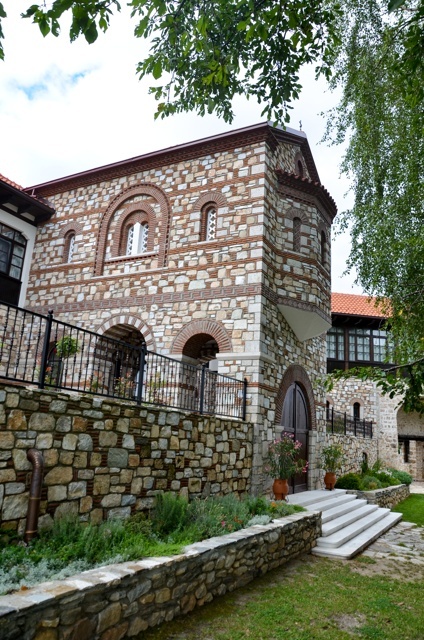 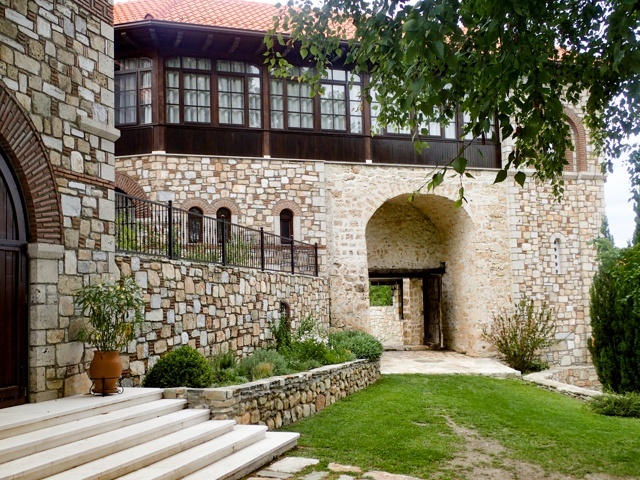 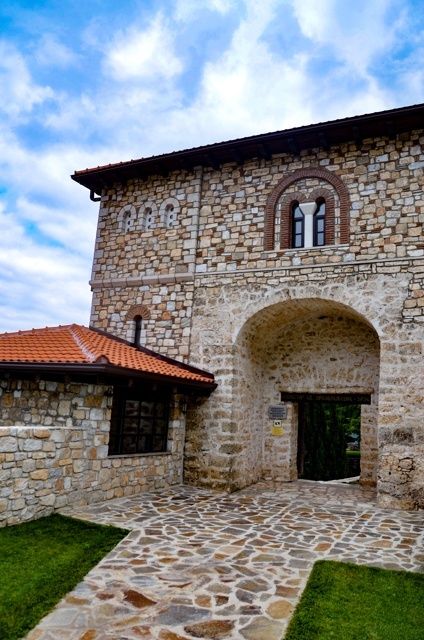 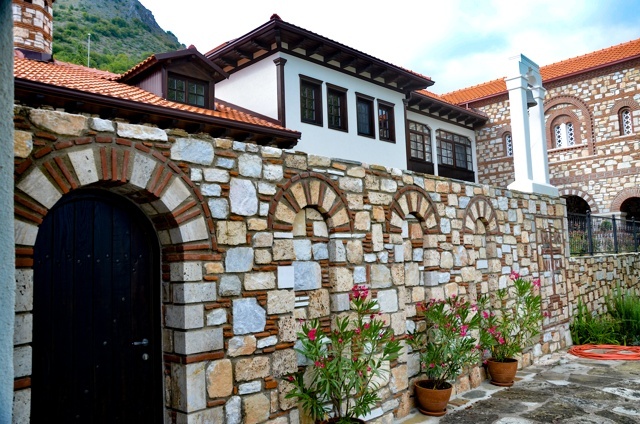 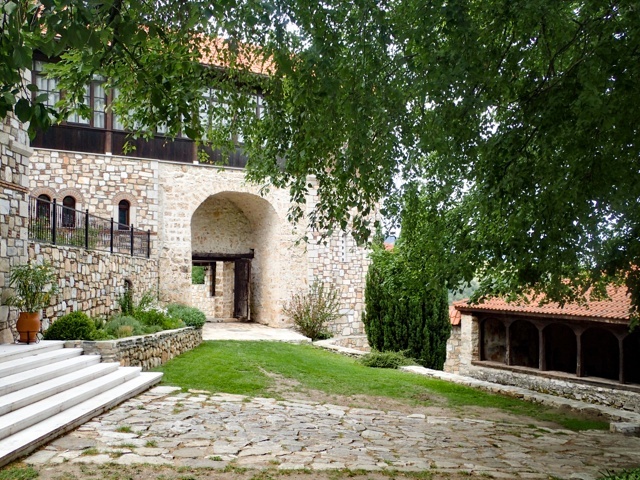 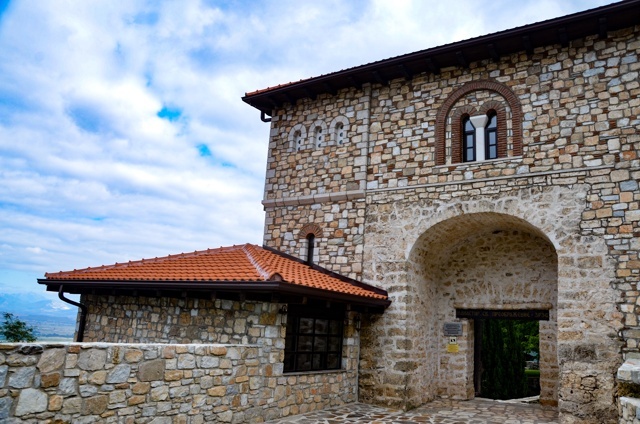 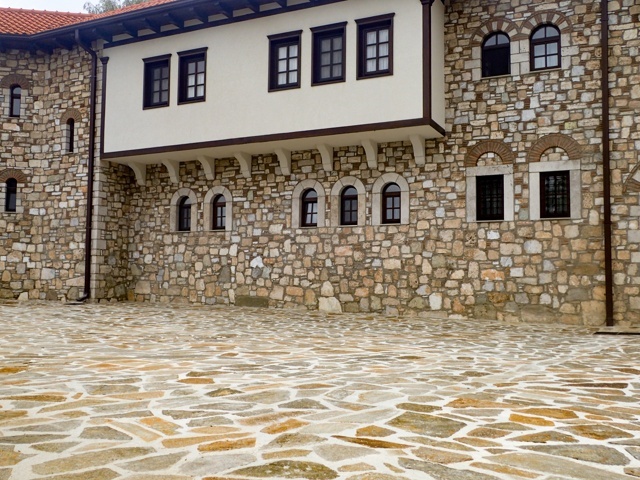 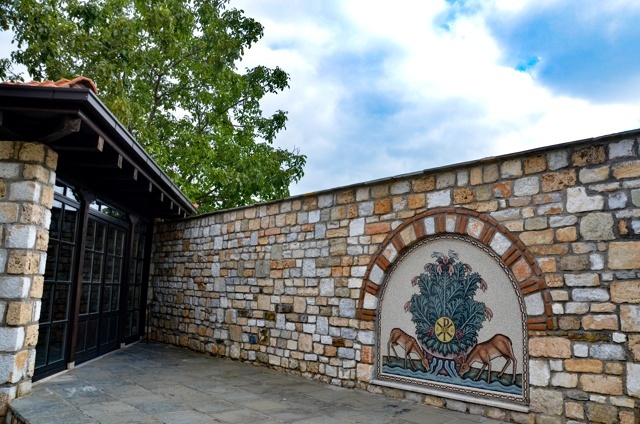 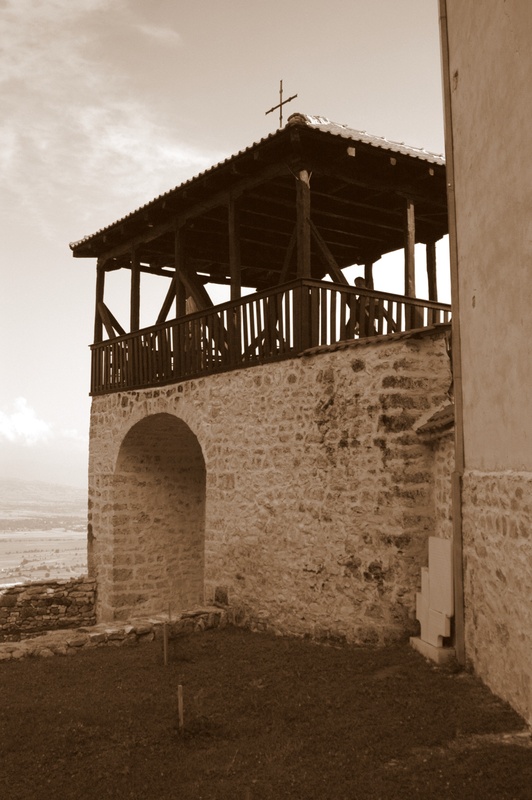 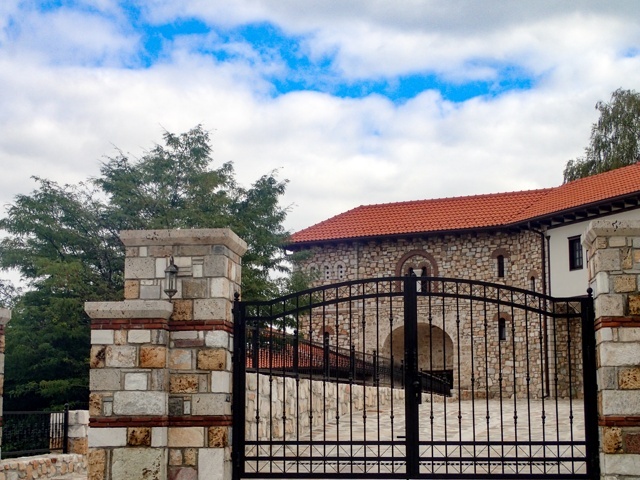 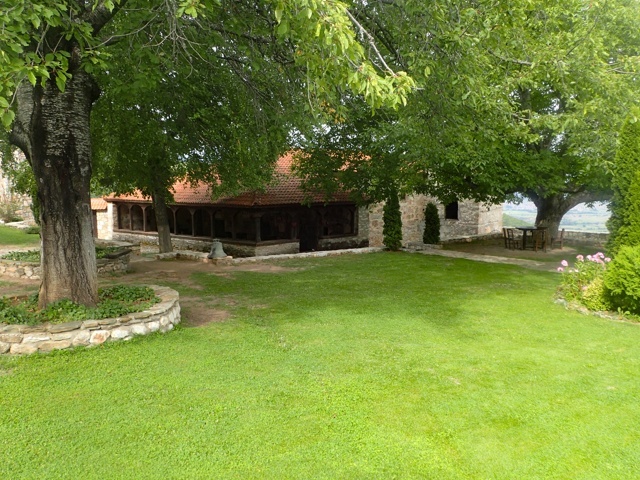 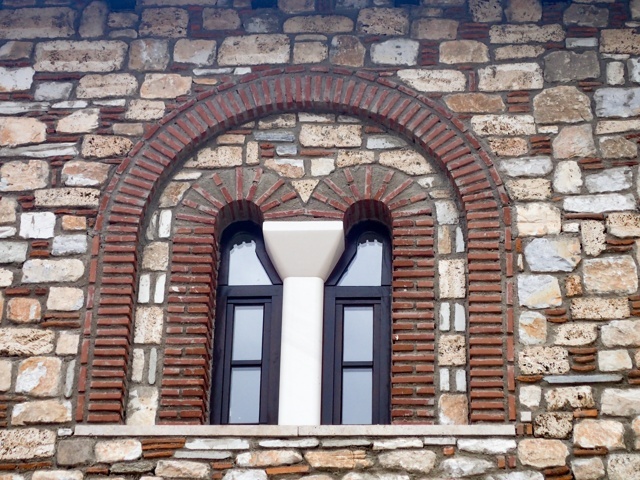 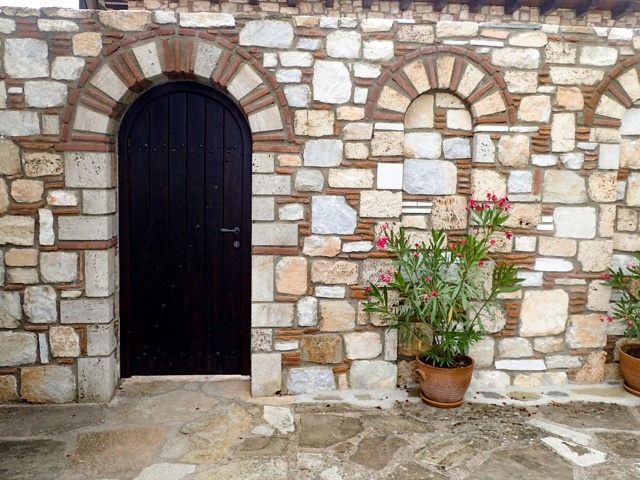 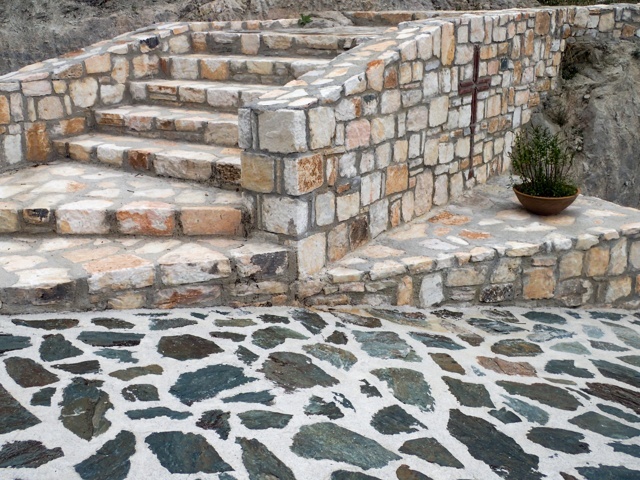 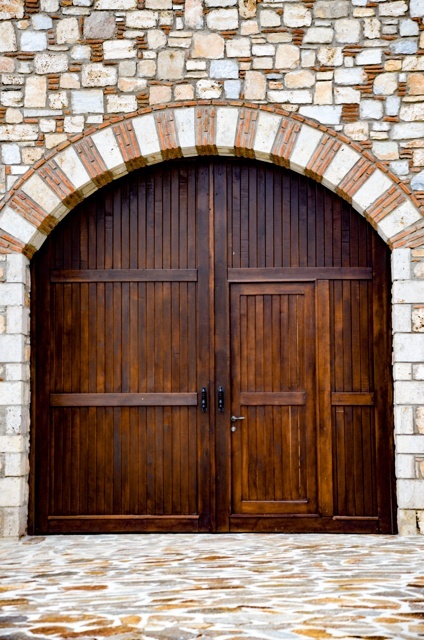 This fully functioning and working monastery is located about 36 kilometers northwest from the center of Prilep and 34 kilometers east of Makedonski Brod near the village Zrze off of route R1303 taking a side road near the village of Ropotovo. 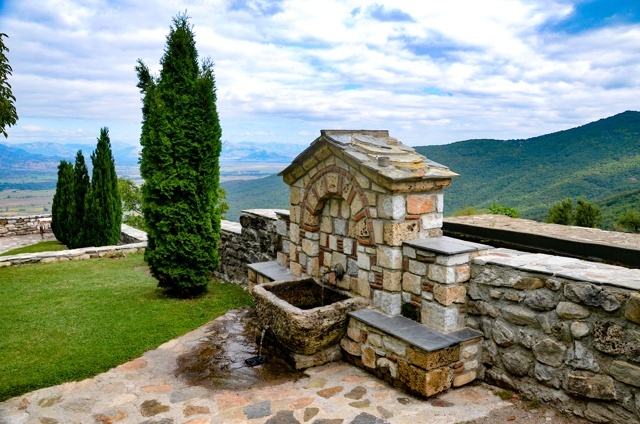 The monastery is wonderfully positioned on a plateau in the foothills of Mount Dautica overlooking the Pelagonija valley. 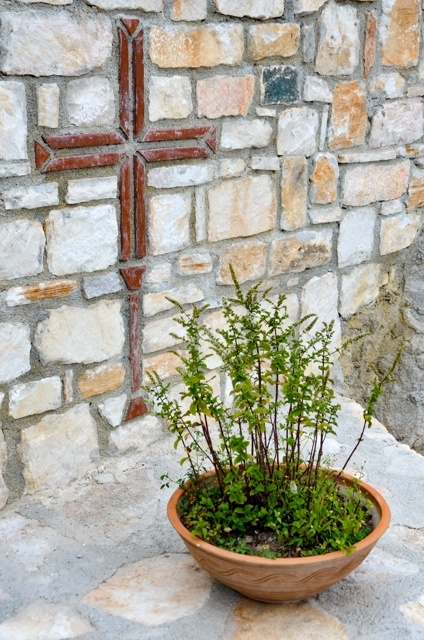 The peace and tranquility that emanates from this holy place is embracing, calming and restorative. 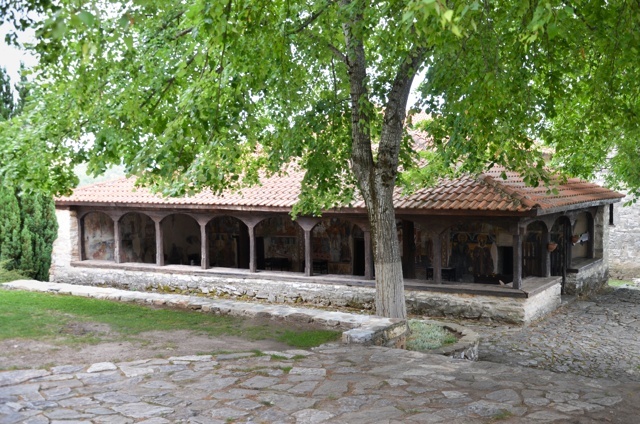 This monastery complex, also known as the Zrze Monastery features two churches: the Church of the Holy Transfiguration built in the 9th Century) and another church dedicated to Saints Peter & Paul (built in the 14th Century). 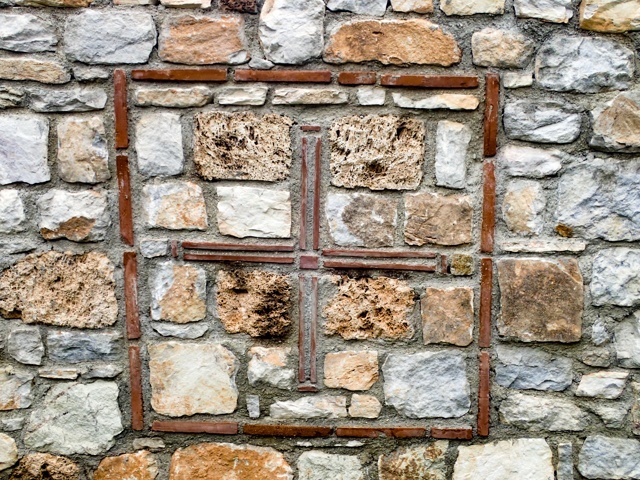 Remnants of other churches dedicated to Sts. 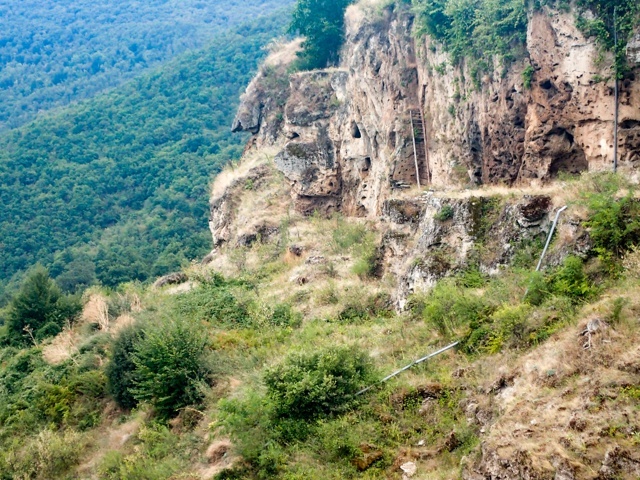 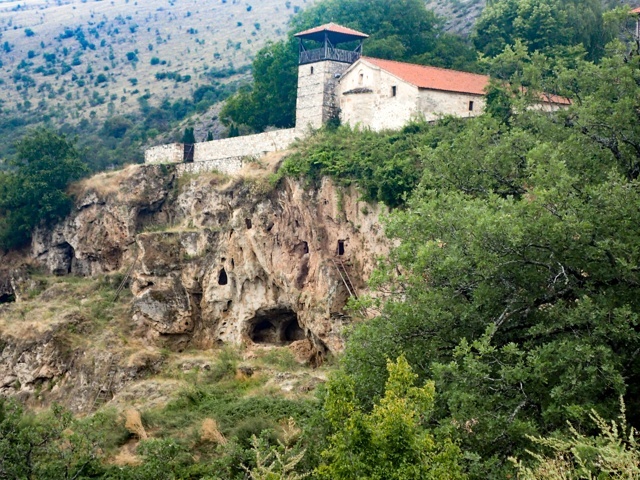 Constantin and Helen, St. Archangels and St. Atanasie have been found very close by, indicating that the Zrze monastery at one point had been the nucleus of a monastic center. 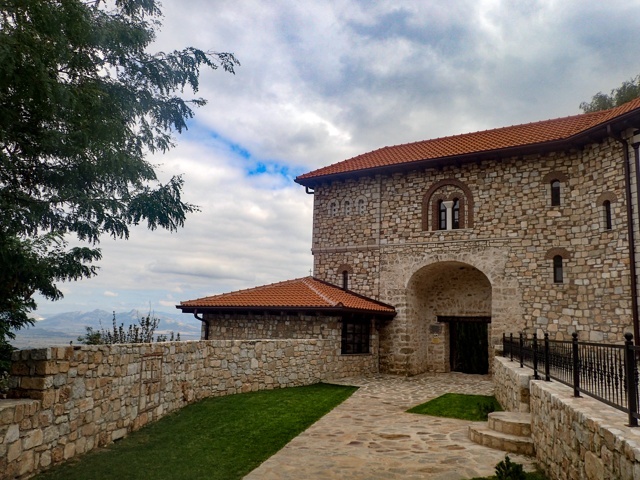 The monastery is located on what used to be a citadel and just outside the entrance to the compound are remnants of an ancient basilica. 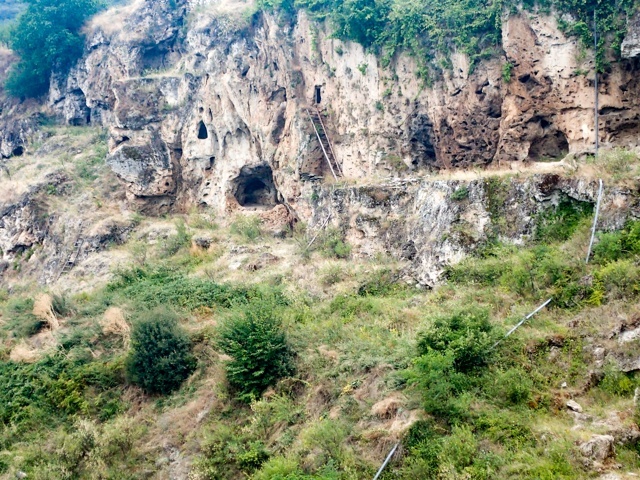 The cliff wall below the monastery is adorned with cave churches. 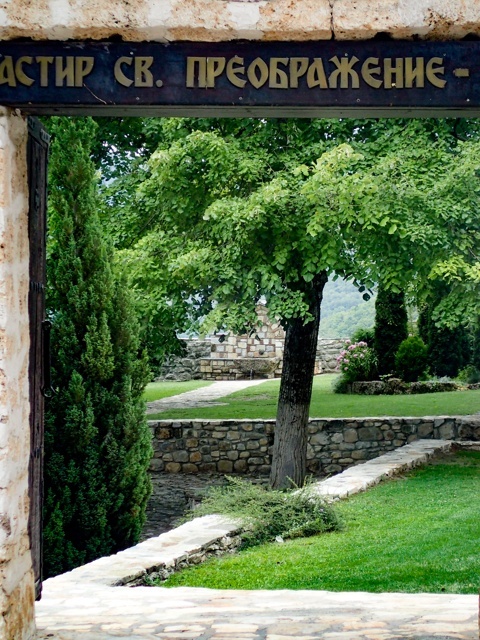 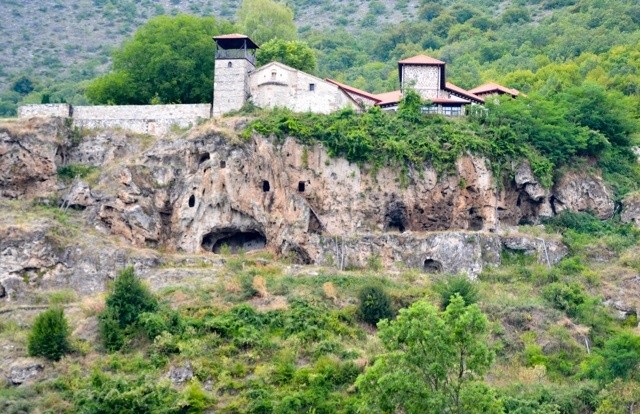 In 2008, the monks living at the monastery discovered two cave churches and thirty monastic cells in total. 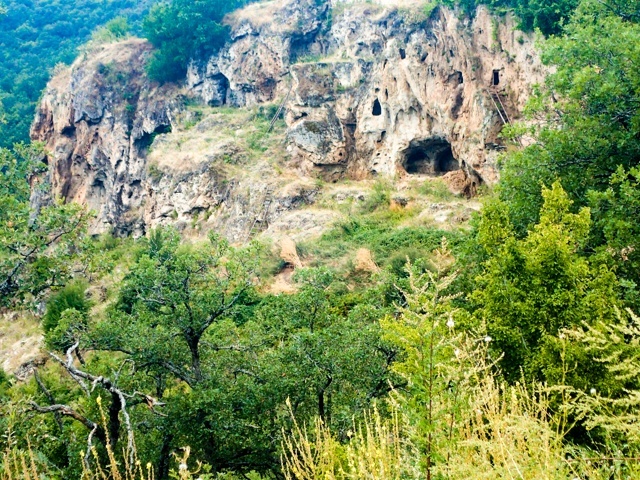 They will continue their efforts of cave restoration as well as exploring for more. 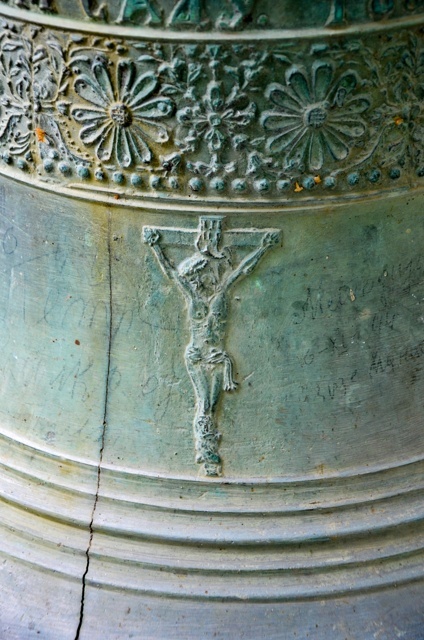 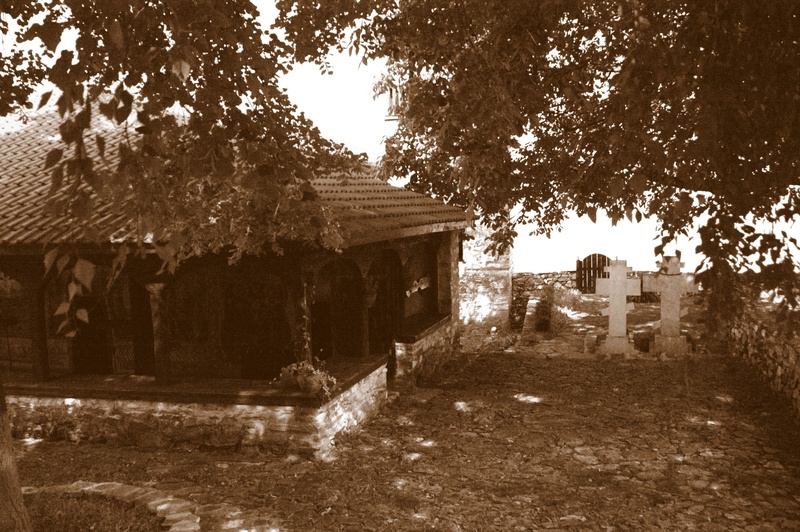 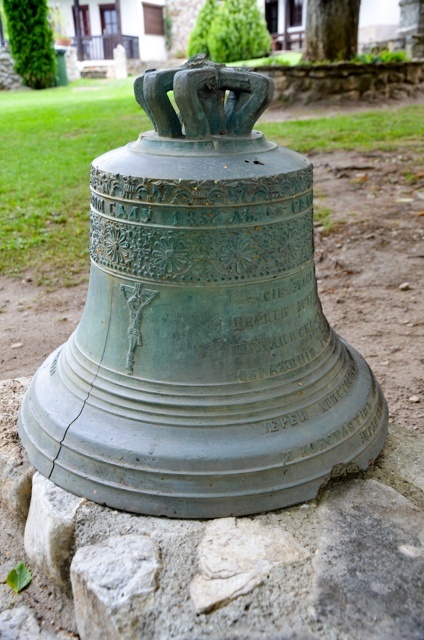 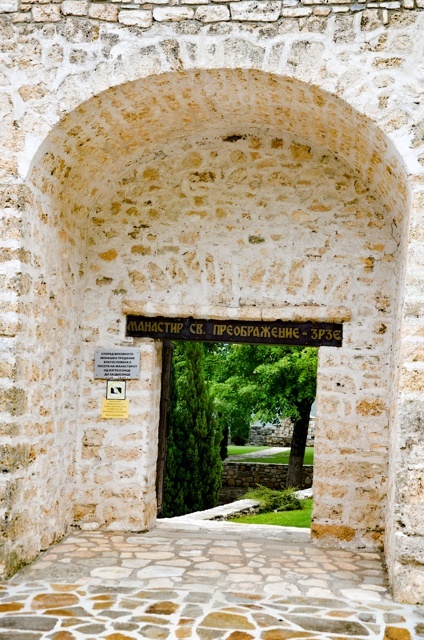 Written records established from an inscription on the exterior of the previous south entrance written in 1400 reveal that the monastery Holy Transfiguration was built by a monk named German. 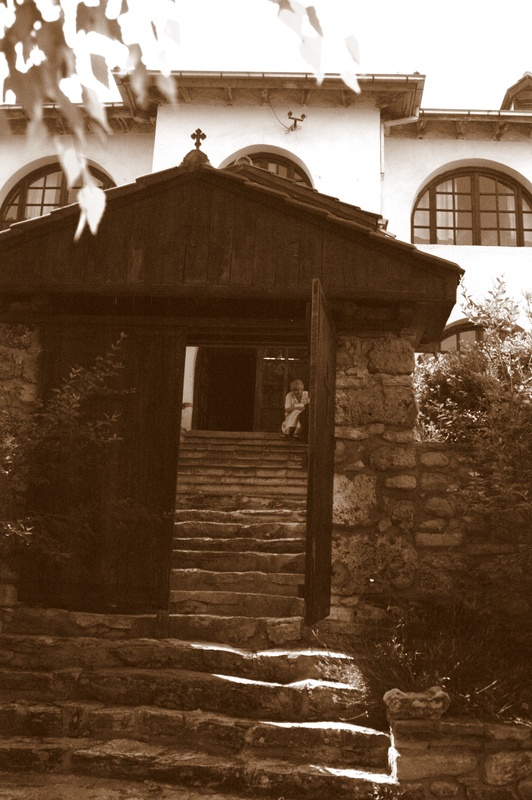 The church dedicated to Sts. 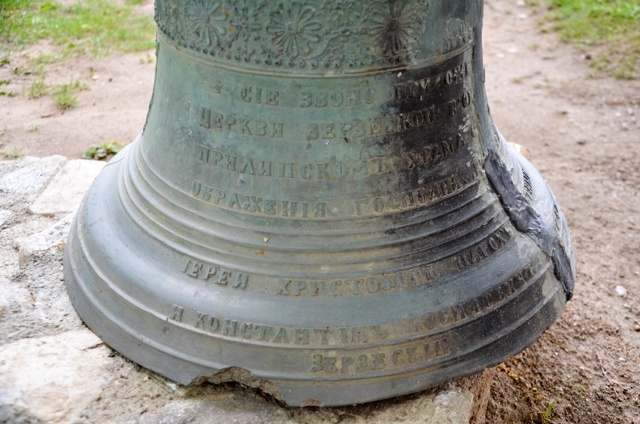 Peter and Paul built in the 17th century. 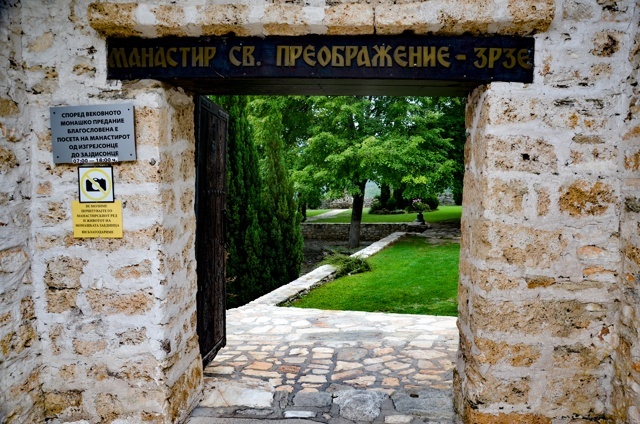 Two brothers, Jovan and Makarie, famous for their zoography, painted the two famous icons from Zrze; the throne icon of Jesus Christ and the Holy Virgin Pelagonitsa (pictures 1- 4 in the 2nd gallery below). 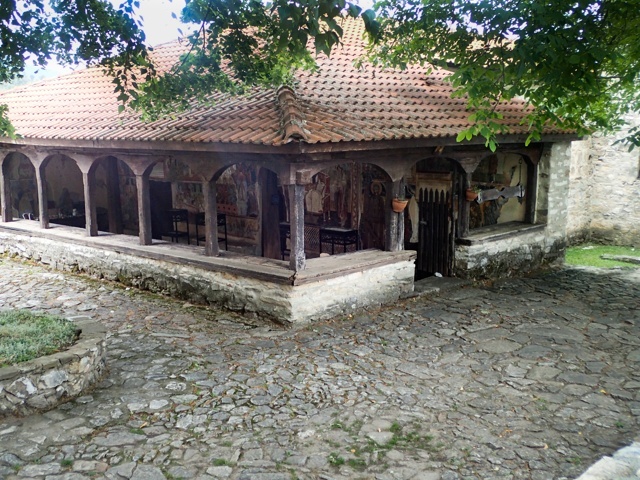 These brothers also painted the frescoes at St. Andrew at Lake Matka / Treska River near Skopje. 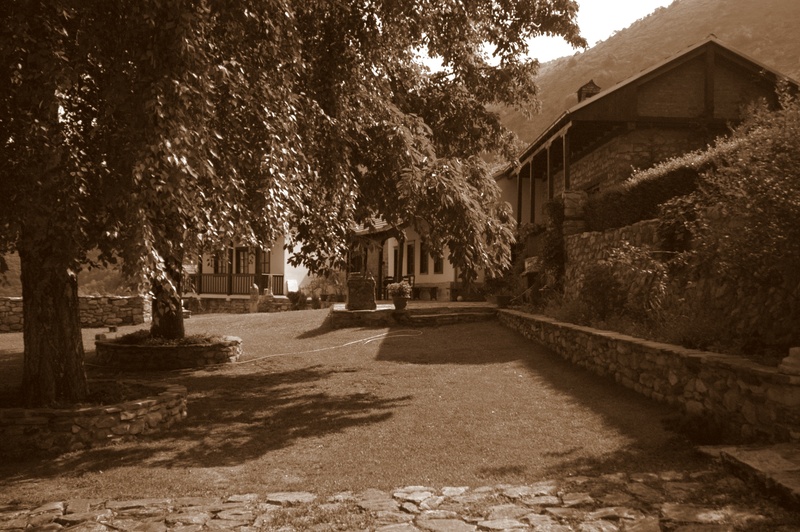 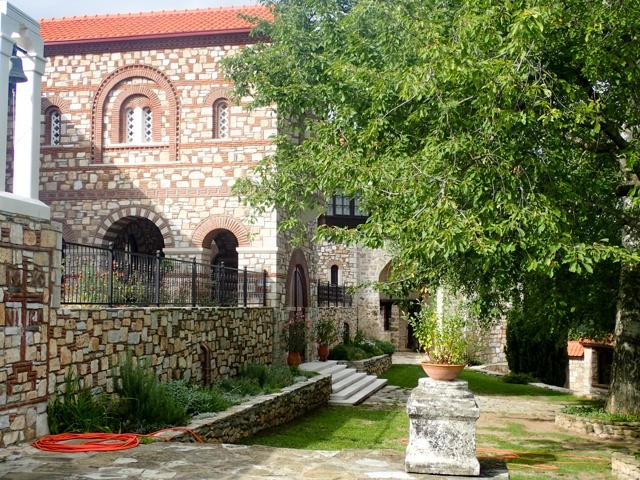 The Zrze Monastery is now an Episcopal seat and Kliment, the Bishop of Heraclea, the secretary of the Holy Bishop’s Synod of the Macedonian Orthodox Church – Ohrid Archbishopric, resides at Zrze. 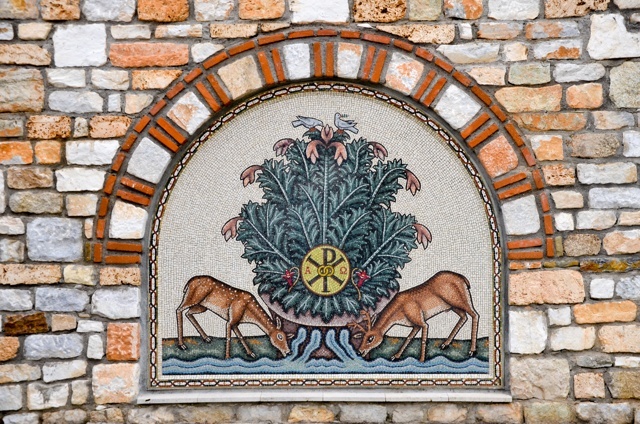 Just outside the Bishop’s residence is this beautiful mosaic handcrafted by our very dear friend, Stanka Pavlovska, from the National Conservation Centre. 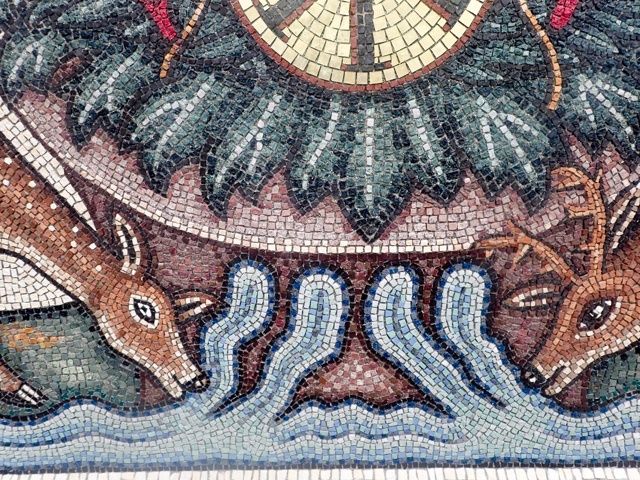 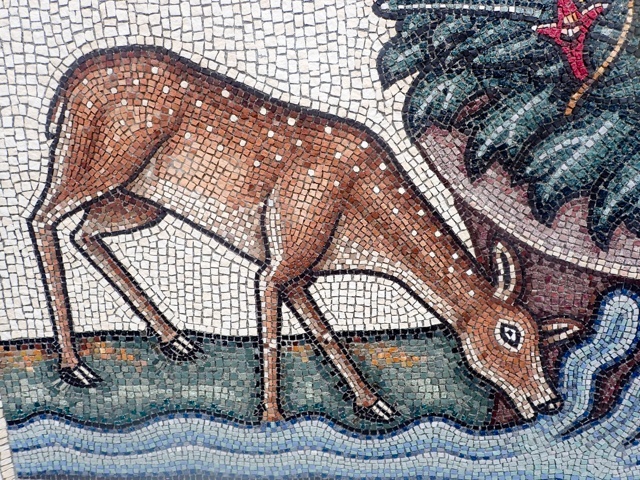 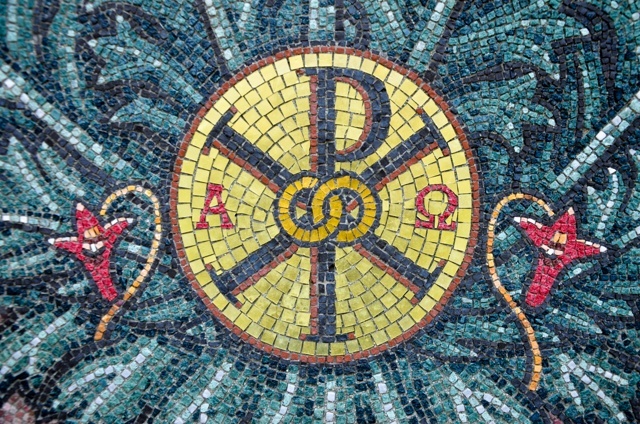 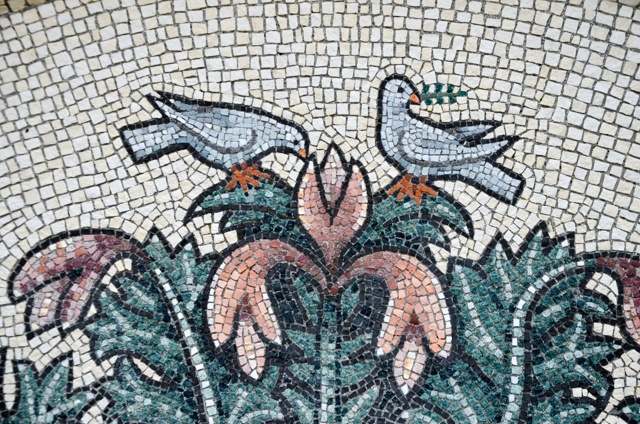 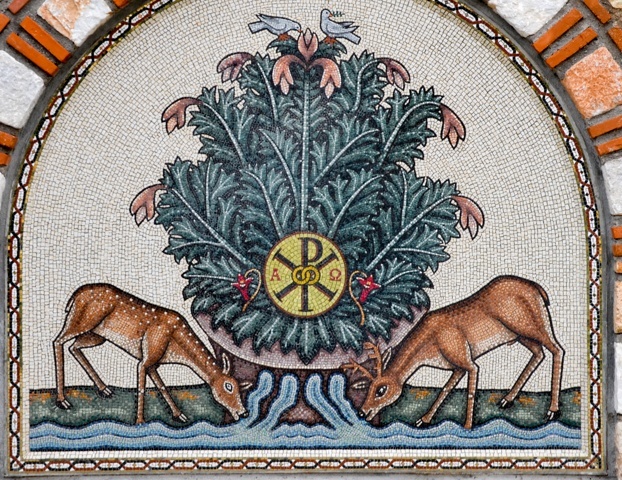 The mosaic is based on the 42nd Psalm of David, featuring Deer (Christians) drinking from the salvational waters from the Well of Life which are common themes throughout Christian Antiquity. 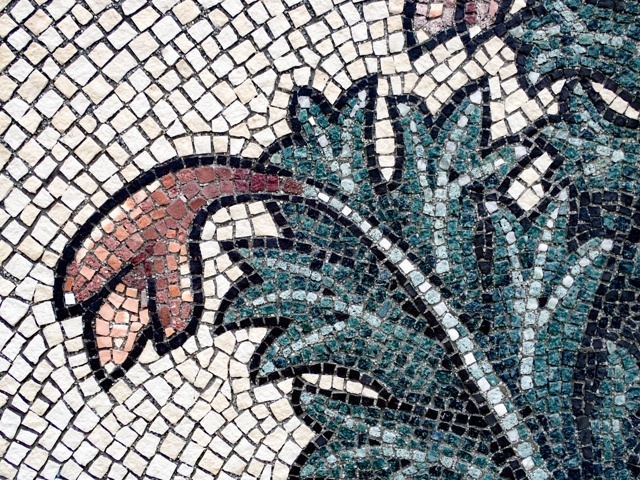 These themes are also present at Heraclea and at Stobi. 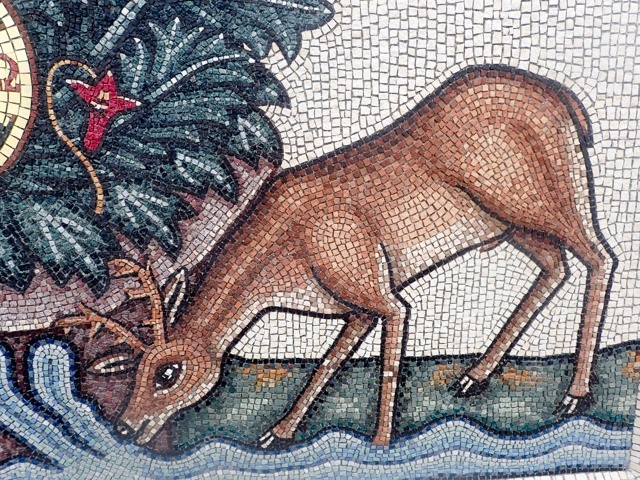 The mosaic contains over 70,000 pieces, all natural stones and it took a little over 3 years to collect the material, design and make the mosaic. 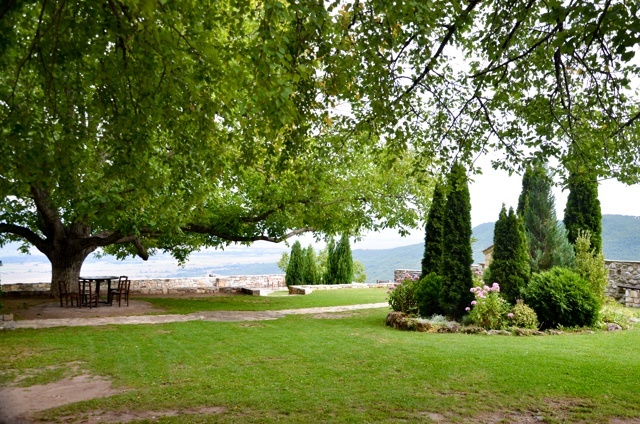 On our first visit, we arrived on a very overcast day. 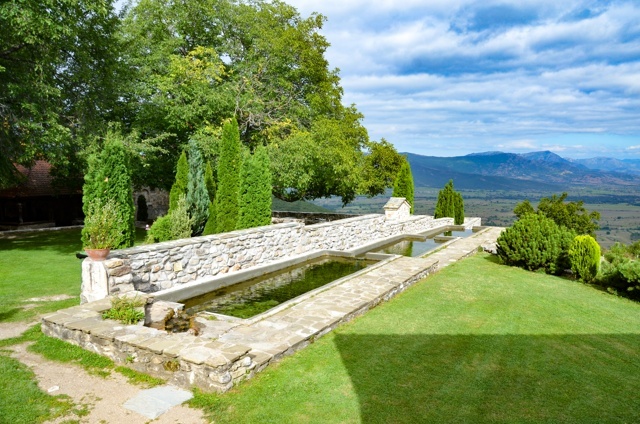 Not wanting to let the photo opportunity go to waste and in lieu of no blue sky. 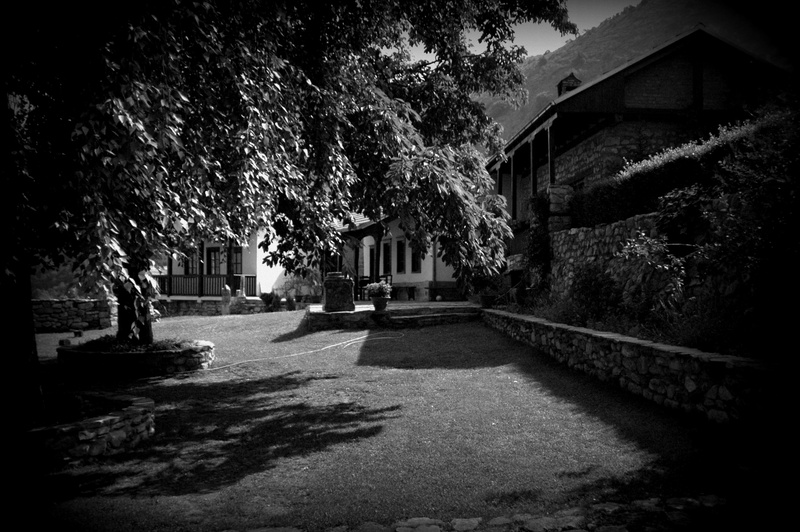 I tried to be creative with various exposure settings and the use of various camera filters.